We’re a small farm operation and prefer the personal touch. Give us a call at 800-483-2416 and we’ll take your order. You can also order using our contact page. Is there a minimum order for your cider concentrate? We sell our concentrate by the case only. Our half gallon case has 4 jugs and will make 256 - 8 oz. servings. Our pint case has 12 jugs which will make 16 - 8 oz. servings each. Be sure to ask if we have a distributor in your area and we might be able to get our cider to you faster and for a lower price. Where can I buy your cider by the jug? Because we are a small operation we rely on distributors to get our cider to you as quickly and inexpensively as possible. We would be happy to find a distributor close to you that will sell by the jug. What is the dietary information? What is the shelf life of the cider concentrate? 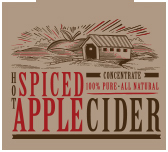 Our cider concentrate will last 24 months or more from the date code on the bottle with no refrigeration required. Our half gallon jugs have a 5 digit julian date to show when it was made. The first three digits are the day of the year. ex "001" is January 1st, and "365" is December 31st. The last two digits are the year itself. ex "18" is 2018. How does the cider last so long if it does not contain preservatives? 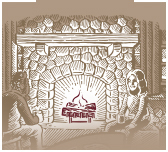 When cider is highly concentrated, the liquids evaporate and the solids and acids in the cider condense. With minimal water left, and the concentrated acids from the apples, no bacteria can grow. In a way, the concentrated apples act as their own preservative, so we don't need to add anything else. We abide by a rigorous HACCP program and undergo 3rd party food safety auditing. Each batch is tested on multiple variables to ensure a consistent and delicious cider. Yes. It is advised that pregnant women don't drink unpasteurized cider because it has the potential to contain dangerous pathogens. The process of concentrating our cider eliminates any of these potential pathogens.